I’m sure you’ve heard the saying, happy wife, happy life, right? Well, I am all about that but, I also think that happy spouse, peaceful house sounds even better! Not to mention, your dad has always been there for you and deserves something great! So, for Father’s Day, why not treat that special guy to some pampering and something that will help hone his grilling skills? Hubs and I are pretty simple when it comes to gift giving. Over the years, we prefer to give each other gifts that we can use or that are homemade. We also prefer to save the big bucks for travel and experiences instead. 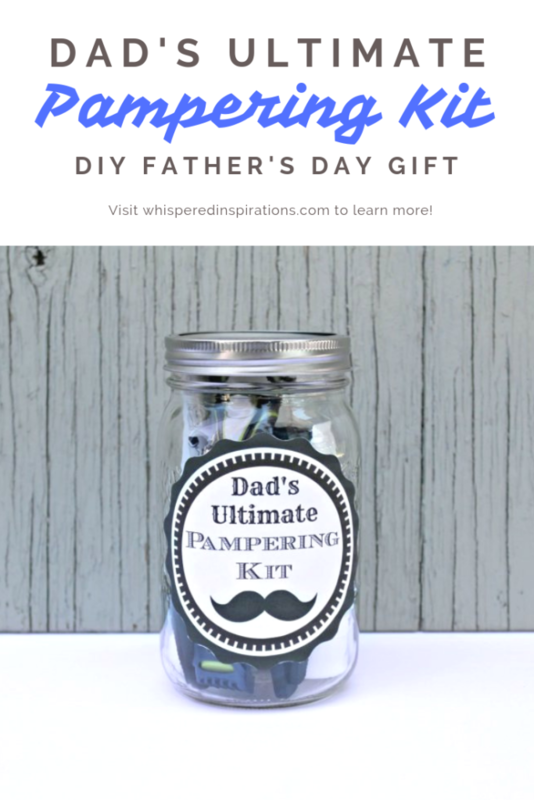 This year, I decided to use my endless love of mason jars and make the Ultimate Pampering Kit for dads! 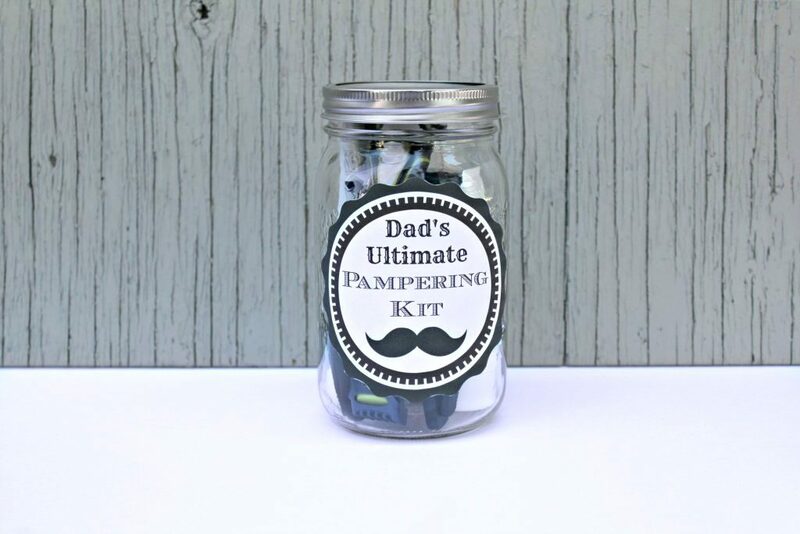 It’s quite simple really, gather all of the essentials that the dad in your life uses on a regular basis and put it in a mason jar. The basics will do just fine but, I’ll leave that up to you. Plus, it’s the perfect time to get Dad a new razor! I know that it is always a welcomed gift. I chose to get Dara a Schick razor and groomer. Of course, you’ll need a label to make it fancy and you’re done! If you desire, you can add ribbons or rope but, I kept it clean and simple. Just my Hubs’ style. You can download the label, HERE. I used my HP Pavilion x360 notebook to design the label. I’ll be honest with you, I’ve been loving it so far. It’s able to keep up with me and all of my work (I use tons of tabs) and I love that it can be used as a PC, tablet or be placed in a tent position to watch movies. You can pick one up at HPShopping.ca. Well, I kept the design simple, black and white circle with a strong border. Strong and “manly” font and I threw in a mustache for good measure. Every dad is different and they all like different things. I’ve listed the items that I used in the jar of goodies below. Feel free to use it as inspiration or add or take away anything you feel fit. After all, you know what Dad likes! 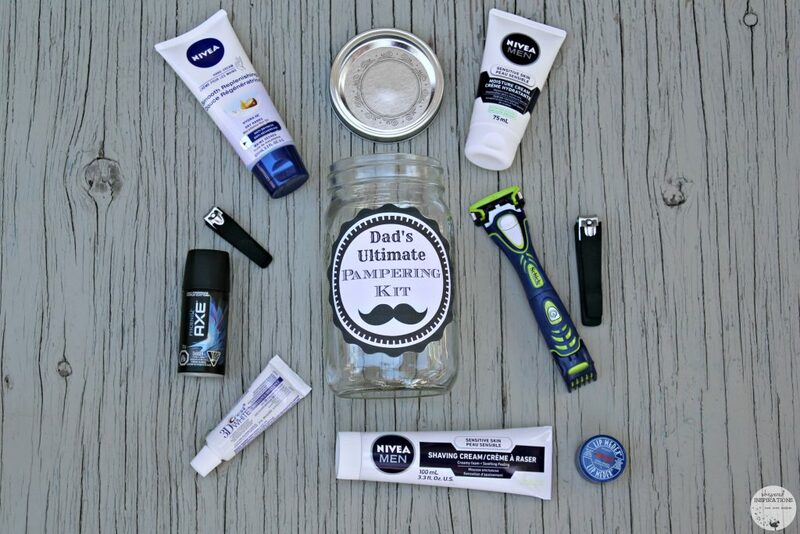 Once you’ve chosen the items, print out the label and place it in the center of the jar. Add your items and make sure you place them facing out. That way, you can see what the items are! I chose some travel size items and some full-size, just gauge the sizes according to the jar. There really isn’t anything better than an aged steak, a good cut, and the right seasoning. I know that both my dad and husband love a good steak. Not to mention, they love manning the grill. It’s almost an art and by golly, they are proud of it. They take great pride in aging, smoking, seasoning and then grilling it to perfection! Since I love the end result, I made a Sweet and Spicy Steak Rub. Inspired by the sweetness and spice of Texas with a little latino flair. Plus, it’s made with love! A sweet and spicy steak rub with a latino twist! You'll love this and so will the grilling King in your life. Take all of your ingredients and measure them out. Spoon them into the mixing bowl. Once you have all of your ingredients, mix thoroughly. If there are little balls from the brown sugar, just squeeze them down until the mix is smooth. Scoop into the mason jar. 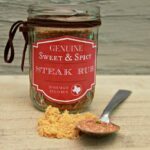 This is tried and true rub, it’s simple but it has a lot of flavours and a nice kick! The Latino flair is the addition of adobo. It’s one of our staples in Latin cooking and I’ve decided to add it to a traditional rub. It gives it that extra oomph and with all of the seasoning and brown sugar, you end up with a flavorful steak that is caramelized. You can always adjust the heat by using less of the chilli pepper. But, I like it spicy and sweet! I used my HP Pavilion x360 and HP ENVY 5540 All-in-One to create the labels. Since Texas flavours inspired this rub, I decided to give homage to it by using the state as a small design on the front label. The labels come in a pair, one for the front and the other for the back with ingredients. You can download them to print, HERE. I used some leather ribbon to give the jar a little extra flair! 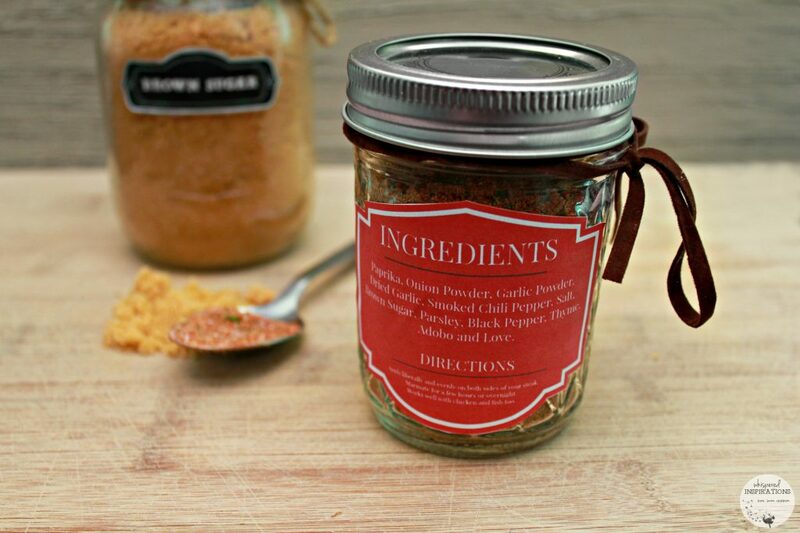 If you want the brown sugar labels, you can get those too, right HERE. TIP: You should look into getting an HP Instant Ink membership, you’ll never run out of ink and you’ll always have enough for any DIY project. Once you are low, HP will deliver ink right to your door! The plans start from $3.99/month, you can’t go wrong! After all that designing and gift-giving, I needed to treat myself to a little something. I had a WaySpa gift card burning a hole in my pocket from Mother’s Day. Shhhh…. it can be our little secret. I hopped onto my HP Pavilion x360 and clicked to WaySpa.com and looked up which spas were in my area. One of my favourites accepts the card and I booked myself a day at the spa and I’m looking forward to my treatments! It’s a WIN/WIN in my books! Being a dad is something that is truly special, it takes a very special man to help raise children and grandchildren. An extraordinary person to form bonds that are kept for a lifetime. That’s why they deserve pampering, recognition and lots of love on Father’s Day and every day of the year! Make sure to visit HP on Twitter, IG, and Facebook for their latest updates! What are you giving to the Dad this Father’s Day? Previous Post: « SPRI Cross Train Smash Ball + Father’s Day Fitness Gift Ideas for the Fitness Junkie! I love these jars!! Great for any gift !! I still have to get my husband some gifts! He needs to make me a list stat! Just take a peek at what he uses! You know, Hubby would love both of these gift ideas. He is a king at grilling steak and that rub looks fab. They do love to grill! 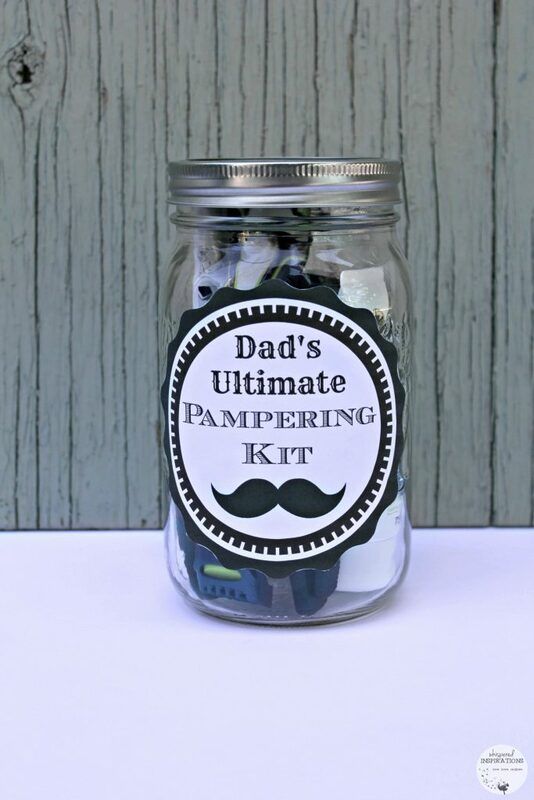 This is a nice pampering package for fathers. Often people forget that dads like special treatment t from time to time. Yes, they totally do need pampering! We just made a burger rub last weekend. I totally should have saved it and wrapped it up with the Dr. Who Grilling Tongs I got him! These are a few really great ideas! We already have a few things for my husband, but these are sure looking to be hit presents! Those are some great ideas. I may just have to make some of these for my husband as well as my father. My girls can help decorate the jars too. That would make it even more personal! 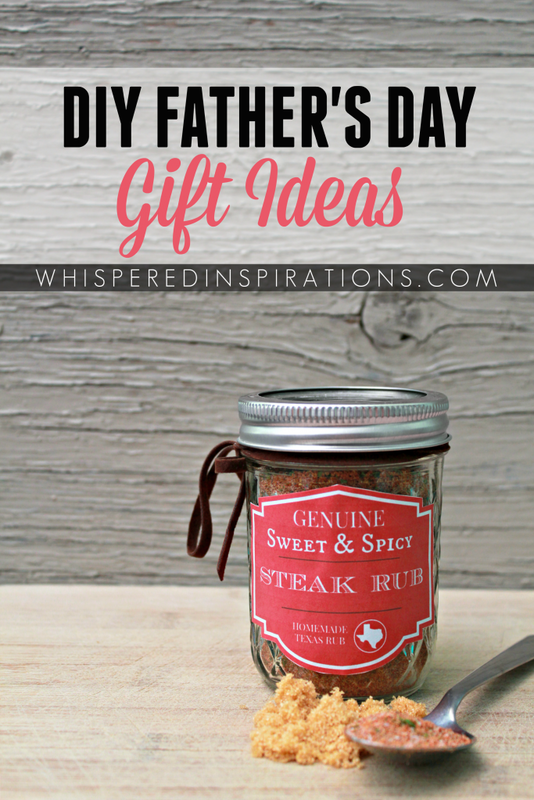 The steak rub is a great idea for my Dad. He loves to grill. I like the Dad care kit. Thanks, it is a great gift. I know it is dad approved. 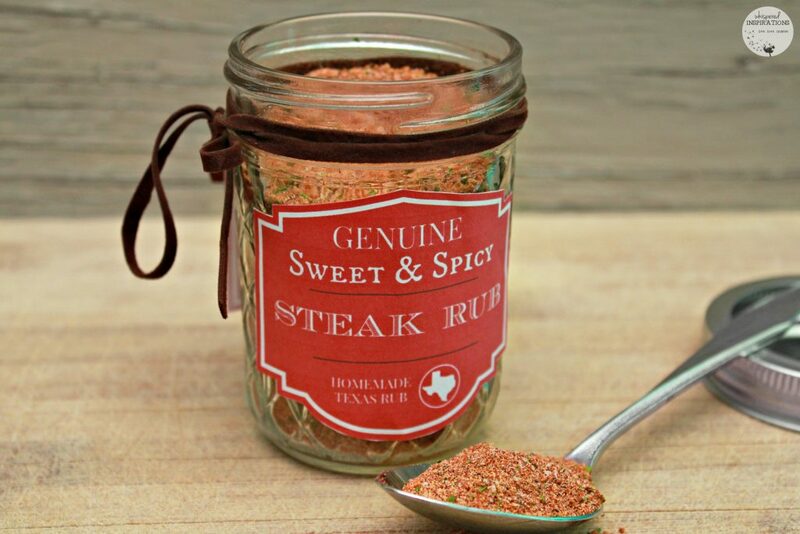 My husband would love that homemade steak rub. He loves grilling. We have grilled almost every day this summer so far. This is such a fun idea for a gift. I know my dad or my husband would be thrilled. Glad they will love it! I like both of these ideas. I think that I will have to try the steak rub myself. I love these gift ideas! 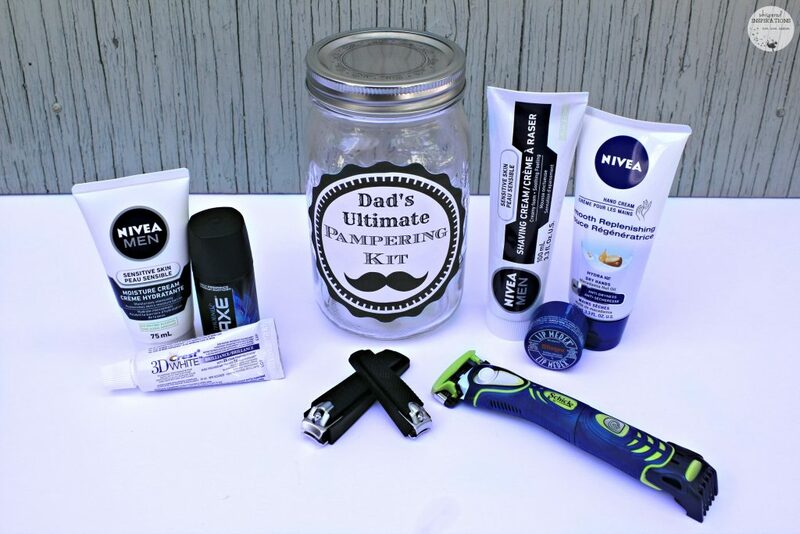 These are great ways to put a smile on dads face without breaking the bank – and it is stuff he will actually use. This is such a great idea! 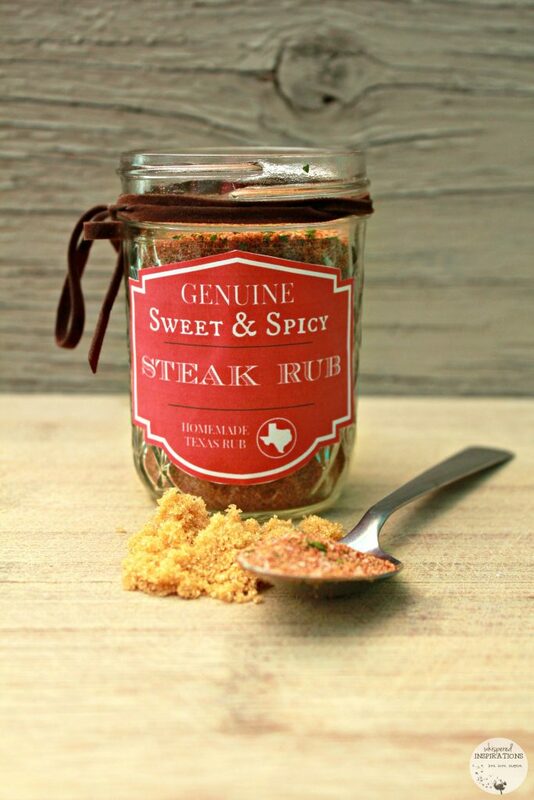 Not too mention we are all about grilling so this rub sounds perfect! Rub is always a hit! DIY gifts are always the best because you know lots of thought and effort have gone into them. The pampering kit looks fab! My hubby is a die-hard gardener so he asked for a carrot chopper and an onion slicer. Not quite as glam as your gift suggestions. Both of these are great idea, I think I might use the pampering kit one for some Christmas presents.